What’s a Worship Song? Jon Foreman & “Your Love Is Enough" - WorshipFuel by CCLI® - Worship, Music, Copyright ... add fuel to your worship! Home Equip Perspectives What’s a Worship Song? Jon Foreman & “Your Love Is Enough"
In the case of Switchfoot’s music, some of these songs slide comfortably and gracefully into the “spiritual” camp: Vice Verses’ “Where I Belong” and Hello Hurricane’s “Your Love Is a Song” could be counted in this group. 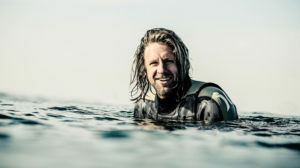 Many other songs in the Switchfoot repertoire suggest conversations with God or a deep spiritual longing: “This Is Home”, “Always” and “Back to the Beginning Again”. I often joke that I write songs about the things that I don’t understand, namely God, girls, politics, and death. With Jon’s latest solo effort, The Wonderlands: Shadows, he’s pushed at these boundaries to create at least one song that may leap over into new territory as an unabashed ”worship song”. The song “Your Love Is Enough” has many of the elements that define modern worship: Simple graceful poetry; singularity of focus on God and his provisions; a chorus of praise. It’s a distinctly new song that still conveys a vague feeling of familiarity and worshipful comfort in its words. The beauty, the strength, the sufficiency, the joy… my words and logic fail. So I sing out a new song. While a lot of listeners might say “That’s not a worship song like I’m used to,” there’s little denying its worshipful nature. There’s no denying this song is a call to worship. Or how it could grow in strength and power as a congregation full of voices joined into the chorus. Our roads in life can be painful at times… lonely, dark, and discouraging. But we are not alone. You, Oh Lord–Our Maker, our Redeemer, our Re-maker–you love us and call us your own. And your love is enough. Maybe it’s best not to get bogged down by questions of “Is it a worship song or is it not?” Maybe it’s best to avoid listing the attributes that make any song a “worship song” in the first place, and instead focus on whether we find ourselves drawing closer to God as we’re drawn into the song. 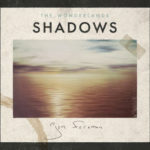 The Wonderlands: Shadows EP was released on July 17, 2015.